Scenes from Thompson Pass in the Chugach Mountains near Valdez, Alaska. Minutes before I get into the helicopter, my heart starts beating faster. I can feel the crazy energy of the base area and how excited everyone is to rip the best day of their life. Once loaded into the magic carpet, an incredible wave of emotions hits me. Maybe it's the noise or how cool a helicopter sounds, but the intense vibe is hard to grasp. It's a sensory overload! After flying for minutes, the guide picks a spot to land, what looks to be like the size of a postage stamp. As I try to gracefully get out, he points to a spot and says, "Don't Move!" He unloads the ski basket, gives a thumbs up to the pilot, and the bird slowly takes off into the big blue. I am left in silence, with only four other people on top, heart pounding, sweat dripping and ready for the next step — to ski down. After a day of having my mind blown, I tell our guide that he has the best job in the world. He's like Walt Disney, making dreams come true. 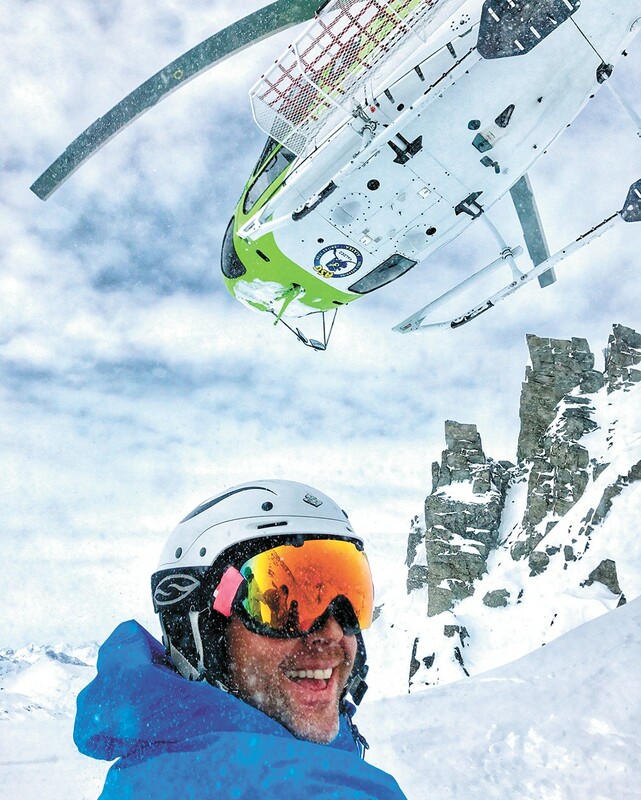 So I asked my favorite guide and former colleague, Dan Caruso, a few questions to give you an idea of what it's like to be a heli-ski guide. SNOWLANDER: How did you get started in heli-ski guiding? CARUSO: I first went to Valdez in 1991 for an extreme snowboarding contest, but never did the event. It was too unorganized and I wasn't into the scene. Then I ended up going back every season for a few weeks at a time. Doug Coombs got me guiding airplane runs in '94. 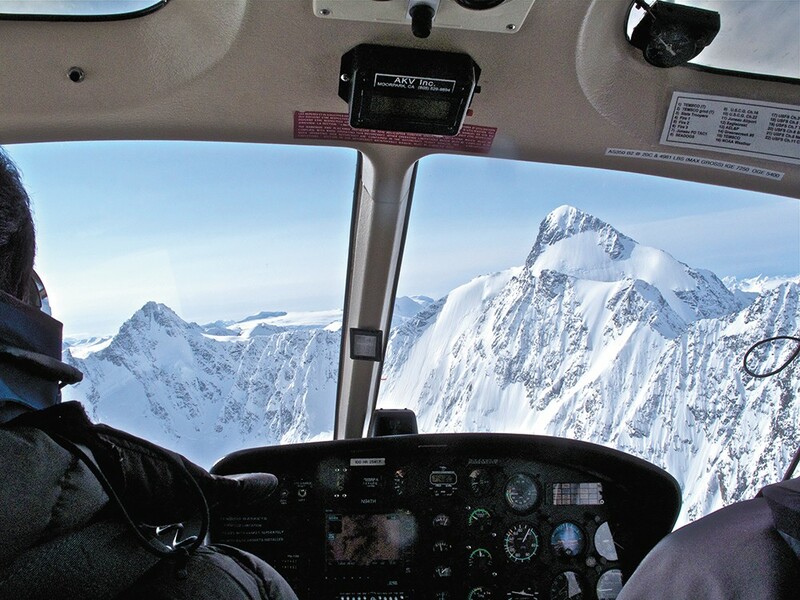 I started guiding heli-ski runs in '95 with Alaska Backcountry Adventures. After Doug Coombs left to start Valdez Heli-ski Guides, it was Dave the Wave, Jon Hunt and Bill Dyer. We teed off every day, it was crazy. Kiwi, Diamond, Meteorite (some of the biggest well-known runs in Valdez, Alaska) almost everyday! Now, I am lead guide for Alaska Snowboard Guides since it started in 2012, seven seasons. Being lead guide, how do you assess the snow? The biggest factors affecting the snow in Alaska are the 24-hour rule and wind. Most avalanches occur 24 hours after a new snowfall. If we can let it sit for a full day before getting on it, the hazards drop considerably. This has become more difficult in recent years, as there is more competition for fresh tracks from the increase of other operators on the (Thompson) Pass. The wind is 'the architect of avalanches.' Wind is what forms both a firm layer for the next layer of snow to slide on, as well as turning new snow into a cohesive slab. Any wind event, or wind blowing more than 15 knots for five hours or more becomes a concern that can cause avalanches in the future. We have crews going out each morning to evaluate the snowpack. Dig pits and look for layers within the snow that could cause a problem. The beauty of maritime snowpack in the Chugach range is that the snow tends to bond well between storms due to the moisture coming in from the Pacific. It's much safer than the continental snowpacks of the Rockies, Tetons and the Alps. How does it feel to drop in first? Going first is a mixed bag. There are times I am very confident with the snowpack and not worried about avalanches. But when the snow is deep and fresh or there is a possible slab in the pack, then it can be scary. I basically drop into every slope thinking that it is going to slide and I plan to cut off a slab and get away to a safe spot while the snow runs off. I have cut off hundreds of avalanches and feel pretty confident breaking them loose from the top and staying out of harm's way. The problems occur when the guide just drops in and starts skiing and gets caught up in an avalanche after the initial drop in, and that is where it's too late to traverse out. With all of your avalanche education, how often do you rely on your gut? More often than not, I rely on my gut instincts. I've been guiding so long and have done over 3,000 heli-ski runs in the Chugach that I feel like I have a sixth sense for the danger. There are lots of 'micro-climates,' areas within the range that have different temperatures and wind activity than the others, and need to be assessed differently. Concerning traditional avalanche education, theories and forecasting, most of that doesn't always apply to Alaska. Since we are almost always skiing slopes over 40 degrees, often over 45, the traditional rules don't apply. If we adhered to the classic '3-by-3' methodology of avalanche terrain mitigation, we would never go skiing! It's a different sport in Alaska than in the lower 48, so we have to do it differently. It has taken some time to gain the confidence, but, knock on wood, our track record is still spotless. Over the years, I have been able to assess my clients fairly well. Having been a ski bum for so many decades, I can tell a good skier by the way they carry their gear across the parking lot. As far as skiing up in Alaska, a lot of skiers get tense and make dumb mistakes. It can be the helicopter or the cold weather or the intimidation of the cornices and slope steepness, but a level-headed calm person is usually a better, safer Alaska client than just a good, solid skier. I ask them a series of questions, usually if they hold a season pass somewhere, how many days they've skied this year. Then the first run, we usually do something mellow and I assess how they ski and how they behave. From there we either step it up, stay the same, or step it down. You never know how people will perform. 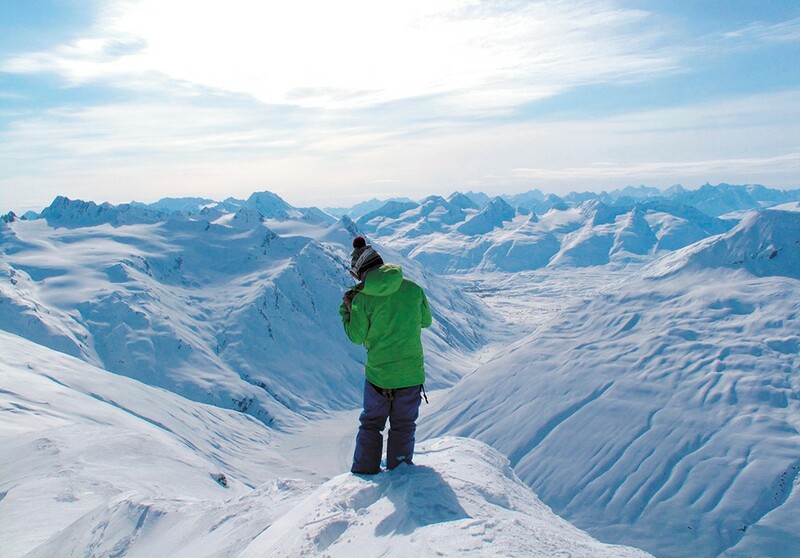 Thompson Pass, the mountains are just 30 miles outside of Valdez, the original spot for heli-skiing in Alaska. It's got the best terrain, the best snow and the best weather, all things considered. There are other amazing places in Alaska, all with advantages and disadvantages, but Valdez is still the most ideal spot. The coastal areas, such as Haines and Cordova, have awesome mountains as well, but they sit in the 'rain shadows,' which means that they get lots more unflyable days. And when you have a short seven-week season, losing one or two days a week to down days can almost cut your flyable days in half. Up north, in the Alaska Range and North Chugach, the snowpack is no longer the super-stable maritime snowpack, and has the avalanche-prone characteristics of a continental snowpack. Given the fact that we are up there to ski the steeper slopes, this alone is what makes Valdez a better choice to operate or partake in heli-skiing. Since you are a master of both tricks, skiing and snowboarding, how do you choose what to ride everyday? Howard Stoddard has traveled the world in search of powder and epic photos. He once owned the Alaska Backcountry Adventures heli operation and now splits his time between Sandpoint and Driggs, Idaho. The original print version of this article was headlined "Life on Top"